Historic cookbooks, like the cookbooks of today, contain images of food, food spaces, and food laborers. 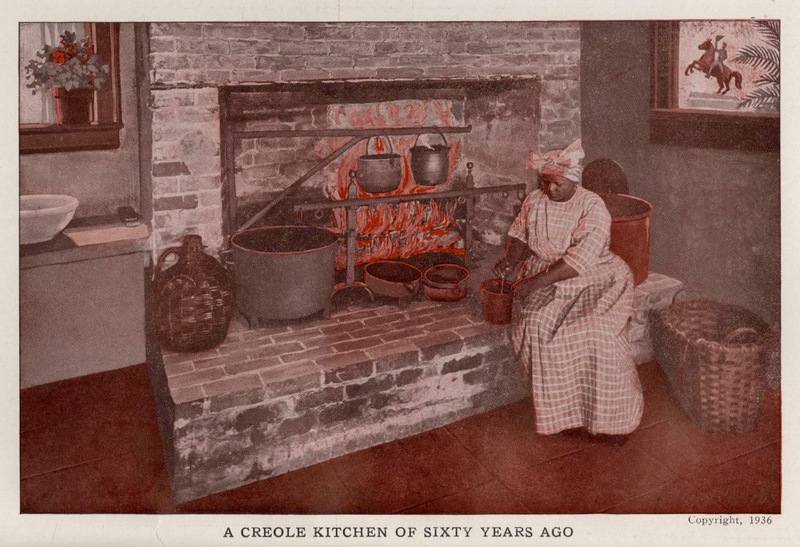 The above image of a nineteenth-century hearth serves as the frontispiece for the Picayune Creole Cook Book. This romanticized depiction of an African-American cook pairs with the similarly nostalgic language of the introductory essays in this cookbook. Details the daily life of the Coleman family in Arkansas. Collection includes recipes and medical prescriptions. Papers consist mainly of correspondence with Prim's daughters, Mira Bell (Prim) Davis and Nannie (Prim) Johnson, concerning patent medicines, a subject that often touches upon modes of consumption and the use of food and beverage for medicinal purposes. This collection is composed of single advertisements, product and trade catalogs, advertising pamphlets, and broadsides. The advertisements are primarily American and from the late nineteenth and early to mid-twentieth century. Three folders of advertisements touch upon American food and beverage. The Industrial Union Council series includes materials for Tennessee, North Carolina, and Virginia's state councils. Of note are the records of the Food, Tobacco, Agricultural and Allied Workers Union of America and the National Farmers' Union. Herzog, former faculty member at the Duke Divinity School, was well known for his work on civil rights and liberation theology. His research touches upon farmworkers and food/hunger. Collection includes advertisements, games, sheet music, serial illustrations, and other caricatures of African Americans predominately dating from the late 1800s through the mid-1900s. Food and consumption are prominent themes among this collection's diverse holdings. 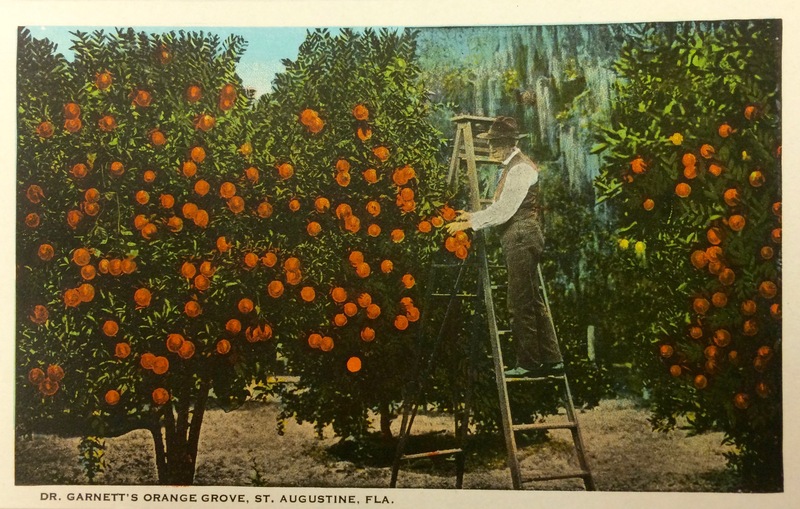 Organized by state, our American postcard collection regularly features food and food spaces such as markets, restaurants, and farms. Particularly rich collections of food-related images are associated with cities like New Orleans, Charleston, and St. Augustine. The Duke Campus Farm is a working farm less than 7 miles from campus. In the nineteenth century, the land was owned by the Couch family. We have the William A. Couch Papers, 1783-1920 in our collections, which touch upon nineteenth-century agricultural practices in Durham, NC. The Duke Campus Farm is beginning a program through which to cultivate heirloom fruits, vegetables, and grains based upon the papers housed at our library. The published cookbooks in our general collections are quite diverse, ranging from humorous cookbooks on the art of the dumpling to community cookbooks highlighting Durham's local culinary traditions. A culinary guide by Susannah Carter: "Wherein the art of dressing all sorts of viands, with cleanliness, decency, and elegance, is explained in five hundred approved receipts"
Written by Lydia Maria Child, this work, similar to The Frugal Housewife by Susannah Carter, seeks to provide women with a comprehensive guide to home cookery. Child's volume, however, is specifically catered to the American household. Written by Mrs. L.G. Abell, this cookbook was also known as The Complete Guide to Domestic Cookery, Taste, Comfort and Economy. The introductory essays of this cookbook tell a brief history of the origins of New Orleans' Creole cuisine, paying tribute to European as well as African foodways. The original introduction to the first edition of the cookbook, which is included in the 5th edition, romanticizes the antebellum South and the food labor and cultures which developed in that period and therefore sheds light on conceptions of race in gender in the post-bellum United States. Written by members of the Trinity Methodist Church Woman's Missionary Society in Durham, North Carolina. This cookbook provides suggested menus, recipes, and household hints. Recipes were gathered within the society and among a network of friends. Manuscript cookbooks are some of the most dynamic items in our food-related collections. Often hand-written with supplementary clippings from local newspapers, these cookbooks represent the careful curation of culinary and medicinal cultures by women. Handwritten cookbook written in various hands and at different times, often with indications from whom a recipe was received. There are recipes for desserts, preserves, meat dishes, soups, and dressings, as well as personal hygiene items (toothpaste and cologne). In addition, there are remedies for dyspepsia, rheumatism, and coughs, and various tips for household chores (such as canning, removing stains, and washing certain fabrics). Loose recipes and newspaper clippings have been removed from the volume. Household formulas and recipes for foods, such as pickled cabbage, cakes, and puddings, and for various beverages, especially wine and beer. Medical home remedies for diseases afflicting people and farm animals include rheumatism, sore throat, diptheria, neuralgia, warts, smallpox, dysentery, and cancer. One-volume, handwritten cookbook recording Jennings' notes on cooking, as well as her favorite recipes and those of her friends. In addition, there are approximately 36 inserts that have been removed from the cookbook, including recipes; clippings containing household hints and other information; and eleven pages containing lessons 1 through 11, with Jenning's occasional notes, from the "Rochester Athenaeum and Mechanics Institute Third Grade Cookery." Our collections also hold an array of sheet music from the nineteenth and twentieth centuries. 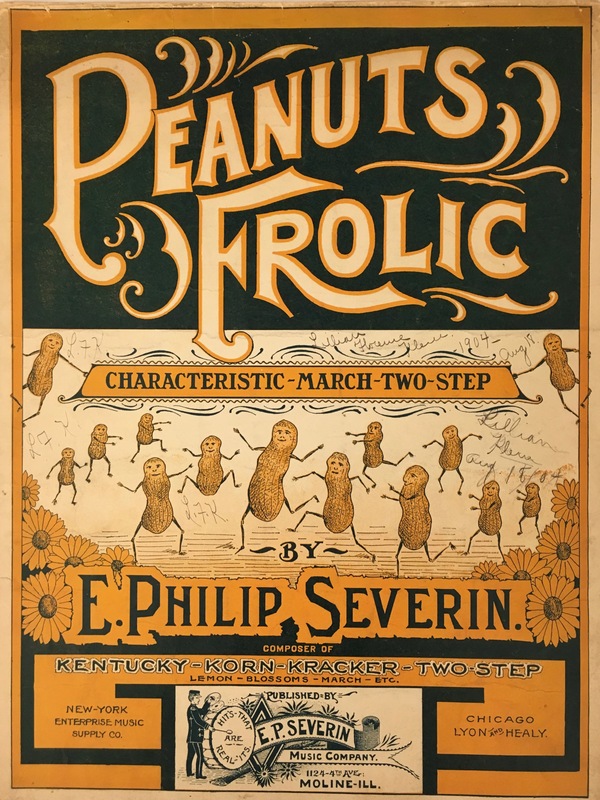 A number of songs, such as "Peanuts Frolic", make reference to American food culture.